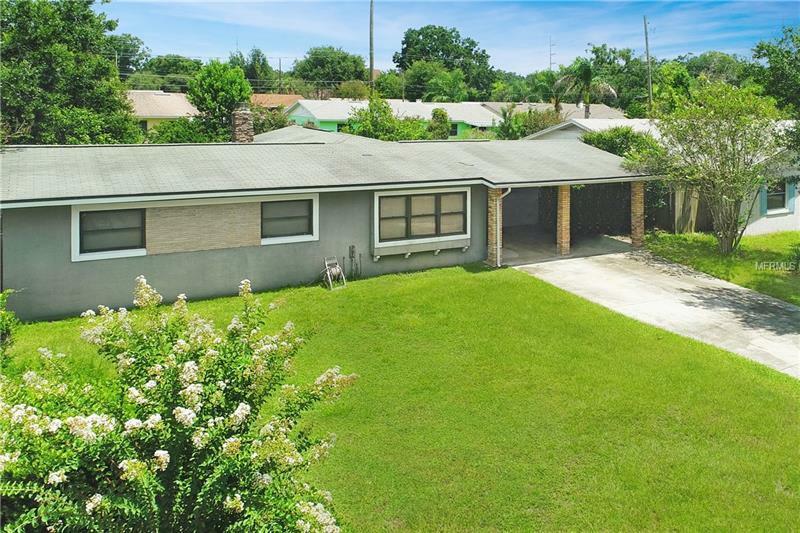 This charming one-story, three-bedroom, two-bath home is located in a great location close to schools, shopping, restaurants, access to highways and hospitals. Only 3.5 miles from Lake Eola and all that downtown Orlando has to offer. Situated on a private street near the corner of a horseshoe, the home offers privacy and has a large yard with potential for a garden, patio or firepit â the options are endless. The interior has wood laminate floors and ceramic tile, a wood-burning fireplace and kitchen with custom wood cabinets. The custom cabinetry extends to the 10x10 laundry room. The home is also spray foam insulated providing energy efficiency to the home and in turn lower utility bills. The perfect property for a first-time home buyer or as an investment property. The home is zoned for the new state-of-the-art Pershing K-8, which is set to open in 2019. This central location allows for easy access to everywhere Orlando has to offer. Includes a one-year home warranty.